Join our United Congregations for Worship on Sundays at 10am. Summer Worship will continue in Miles Hall at the First Presbyterian Church of Levittown at through September 2nd. Worship will return to the Levittown Sanctuary on September 9th. through the last Sunday in September. Sunday, October 7th. at 10:00am. This entry was posted on August 21, 2018, in Worship Schedule and tagged congregation, Join us on Sundays, Meet God & Friends Here, members, Presbyterian Community Church of Massapequa, Recharge Your Faith & Join us on Sundays, Reverend Dr. Louis Knowles, sunday worship, Sunday Worship Schedule, The First Presbyterian Church Of Levittown, United Congregations. Hosted at the home of Feiona Churaman. Feiona’s address can be found in the Massapequa directory or call either church office. The signup sheet is in the Narthex. This entry was posted on August 16, 2018, in Upcoming Events and tagged all are welcome, fellowship, food, friendship, girls night out, good times, Joint Congregations, Meet God & Friends Here, presbyterian women. Please join us for World Communion Sunday. Our member Linda Downs will make a presentation during the worship service. Linda will talk about her experiences donating her time and expertise as a surgical nurse for the charity organization “Dream Ministries” in the Dominican Republic. The Joint Mission Team thanks Linda for sharing her life saving experiences. FPC is hosting a multi cultural potluck meal following worship in Miles Hall. Beverages and dessert will be provided. Sign up to bring a cultural themed dish! This entry was posted on September 12, 2016, in Sunday Worship Schedule, Upcoming Events and tagged Dream Ministries, Guest Speaker, Meet God & Friends Here, missions, pastor louis knowles, potluck, Presbyterian Church, Rev. Dr. Louis Knowles, The First Presbyterian Church Of Levittown, world communion, World Communion Sunday, worship with us. 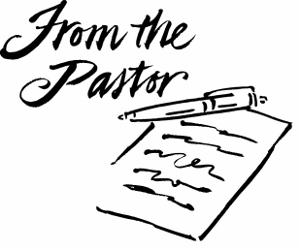 This entry was posted on February 2, 2016, in Worship Schedule and tagged Church, congregations, faith, joint worship service, Meet God & Friends Here, members, Rev. Dr. Louis Knowles, worship. Please join the First Presbyterian Church of Levittown for Ash Wednesday Worship Service, February 10th. at 7:00pm. All are welcome to Meet God & Friends Here! This entry was posted on January 20, 2016, in Worship Schedule and tagged ash wednesday, congregation, faith, following, lent, Meet God & Friends Here, pray, scripture, The First Presbyterian Church Of Levittown, worship service. Well, here we go again with this “war on Christmas” thing. How dare Starbucks change the design of its holiday cups!! What were those shopping mall managers thinking when they took the Christmas trees out of the backdrop for Santa! It is easy to make fun of such silly criticisms, but behind these rather extreme points of view about the danger of Christmas slipping away, you can sense an authentic anxiety about growing secularism in the culture. It’s not so much that we are losing Christmas but that we are losing touch with the sacred. People are looking for meaning and fulfillment in all the wrong places, while houses of worship gather dust. There’s that old cliché phrase we use sometimes: “Is nothing sacred?” We could ask that again today, in light of the overwhelming commercialization and secularization of holidays in general, Christmas being exhibit numero uno. Have we abandoned all sense of purpose beyond our own material enrichment? Is it finally true that he or she who dies with the most toys is the winner? I’d like us to take a step back this year and re-discover Christmas by studying the sacred texts in which all of our yuletide traditions are rooted. How did lowly shepherds find their way into the story, along with high born kings, or sages from the East? What do the Christmas stories tell us about Jesus Christ himself? What does it mean to “believe” and to “have faith in” these stories today? And, perhaps most important, what would be an appropriate and meaningful way to observe Christmas that would help us restore its place in our spiritual lives? Please join me for three evenings of discussion: Wednesdays, December 2, 9 and 16 at 7:30 p.m. in the Board Room of the Massapequa Church. This entry was posted on December 2, 2015, in Pastor's Posts, Uncategorized and tagged Advent, bible, bible study, christmas, Church, congregation, first presbyterian church of levittown, jesus christ, Meet God & Friends Here, members, pastor lou, pray, prayer group, scripture, scripture lessons.